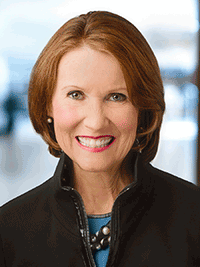 MILWAUKEE, April 17, 2019 – Employee-owned Baird announced today that Mary Ellen Stanek is a nominee for the 2019 U. S. Morningstar Outstanding Portfolio Manager Award. Morningstar analysts nominated five candidates for the award across asset classes. Stanek is being recognized as the Chief Investment Officer of the team that manages the Baird Aggregate Bond Fund. The Morningstar Awards for Investing Excellence recognize portfolio managers, asset-management firms, and up-and-coming managers that demonstrate excellent investment skill, the courage to differ from the consensus to benefit investors, and an alignment of strategies' interests with investors. Winners are chosen based on research and in-depth qualitative evaluation by Morningstar’s manager research group. The winners will be announced on CNBC, Thursday, May 9 at the Morningstar Investment Conference in Chicago. Morningstar’s methodology is available here. "Being a nominee for the Morningstar Awards for Investing Excellence is recognition of the consistent investment approach and dedication to investors that Mary Ellen and her team have had for nearly 20 years at Baird," said Steve Booth, Baird’s President and Chief Executive Officer. "They have been marathon runners committed to the same rigorous investment approach that has delivered consistent results over time." Baird Advisors is known for managing high-quality investment grade bond portfolios using a duration neutral approach. The Baird Aggregate Bond, Core Plus and Short-term Bond Funds were recently upgraded to a Morningstar Analyst RatingTM of Gold. In its write up about the upgrade for Baird Short-Term Bond, Morningstar said, "The small but tight-knit team…is thoughtful about how investors use its portfolios, which informs a circumspect process that doesn’t take risk in esoteric sectors or duration bets. Disciplined security selection and sector rotation combined with low fees have helped the strategy beat its benchmark with modest volatility, supporting a Morningstar Analyst Rating upgrade to Gold from Silver." "Our entire team is humbled to be recognized among this distinguished group of investment professionals," said Mary Ellen Stanek, Chief Investment Officer and Senior Portfolio Manager. "We also view this as recognition for the many clients who entrusted our team to manage their assets and have been with us year after year." Morningstar's Manager Research Group consists of various wholly owned subsidiaries of Morningstar, Inc. including, but not limited to, Morningstar Research Services LLC. Analyst Ratings are subjective in nature and should not be used as the sole basis for investment decisions. Analyst Ratings are based on Morningstar's Manager Research Group's current expectations about future events and therefore involve unknown risks and uncertainties that may cause such expectations not to occur or to differ significantly from what was expected. Analyst Ratings are not guarantees nor should they be viewed as an assessment of a fund's or a fund's or separately managed account's underlying securities' creditworthiness. This press release is for informational purposes only; references to the funds in this press release should not be considered an offer or solicitation by Morningstar to buy or sell those funds.